It is true to say that the pattern of life in Ireland has come to resemble that of its neighbors and superficially, it may be hard to tell an English, Scots, or Welsh person from someone from Ireland. People may dress similarly, speak the same language and have many of the same tastes. However, underneath the surface there are significant differences. The Irish are steeped in their history, both real and mythical. Their history and their religion have forged the national consciousness. To understand the Irish you must be aware of the events that have shaped and still shape their thoughts and feelings. Ireland is a complex place; a little trouble taken to learn its customs, etiquette and traditions will be amply rewarded. This guide is written for those who want to know more and go deeper. 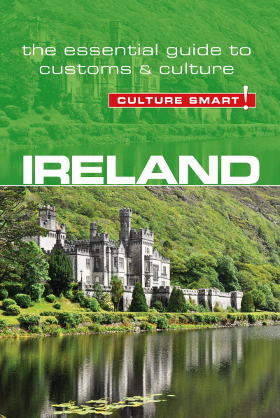 Here you will find out about the beliefs and attitudes of the Irish, their rich musical and literary culture, the values they live by, how they do business and how they enjoy themselves. This understanding will be appreciated by your hosts; it will open doors to you, even open the hearts of a generous, talented people, justifiably proud of their unique identity. Irish social events tend to run later than in America or Britain. Guests at a dinner party, for example, will not be expected to arrive precisely on time, and leaving well before midnight is not usually a good sign for the hosts. Arriving up to three quarters of an hour late for a friendly meet up at a pub is also not unusual.